Very large and unusual 19th C. feast ladle made of pewter (bowl, eye inlays, beak decoration), copper(portion of bowl) and wood. The copper backing for the bowl is riveted to the pewter bowl with 12 copper rivets and another to connect the bowl to the wood handle. 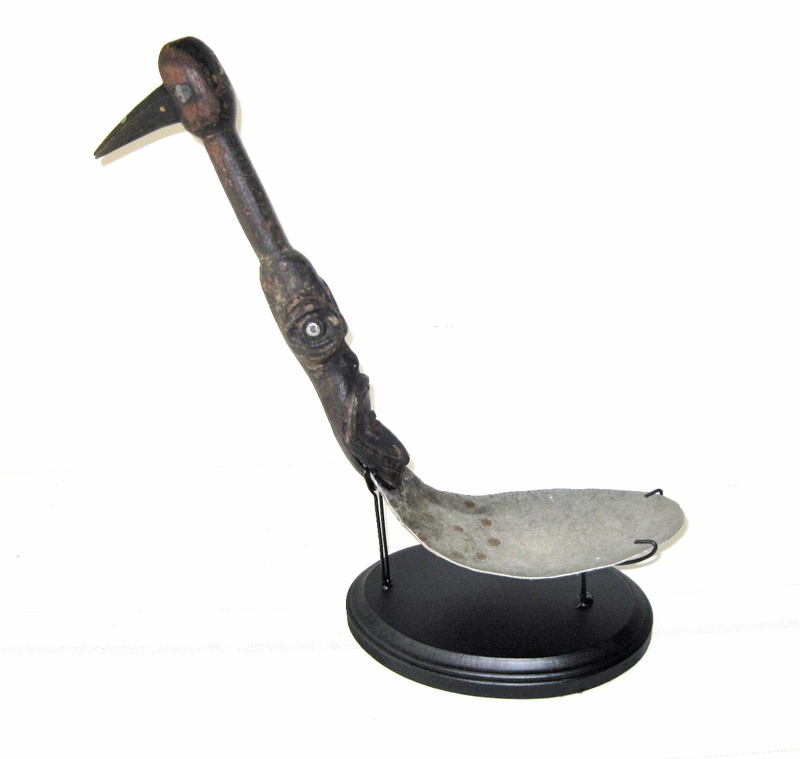 Carved wood handle with large carved face and bird with long beak that sets into the handle. Overall 14″ long, pewter bowl is 6 1/2″, wood handle is 10″, beak 2 3/8″. From an old Seatlle collection of Northwest Coast decorative arts.